Six years ago Vampire Weekend introduced themselves to the world with the release of their self-titled debut Vampire Weekend! As a group they’ve grown to become one of my favorites (Modern Vampires of the City was easily my favorite album of last year) and I’ve recently learned of the backstory about the origin of the band’s name, in that frontman Ezra Koenig briefly attempted to create a movie about vampires attacking a town where the narrator had to travel to warn the people before they became overrun. This got translated into the band’s name and interestingly became what is supposedly the first song which the group had ever recorded, the fantastic “Walcott” is our Song-A-Day for the day. Walcott, don’t you know that it’s insane? Don’t you want to get out of Cape Cod, out of Cape Cod tonight? Don’t you know that your life could be lost out of Cape Cod tonight? The spectacle of the album release was a wonder in itself, and Arcade Fire’s experimentation into Disco was the top voted album of the year by a wide margin in our poll. 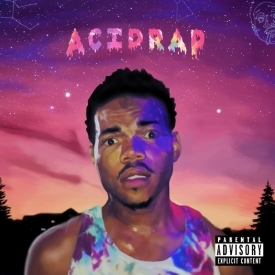 The second mix tape from Chance the Rapper caught the attention of multiple departments in our station, helping it be named the top hip-hop album of the year on our list. 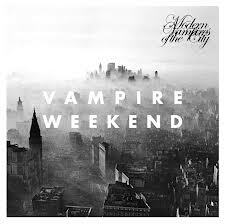 The sound matured for Vampire Weekend, solidifying their role as one of the premiere pop artists in today’s music scene. An inspired and experimental album from the group garnered them a lot of attention this year from media publications, and our DJs viewed it with a similar level of admiration. The debut album for the California Skate-Punk band brought a ton of energy with it during their screamed stories about drugs and youthful ideals. 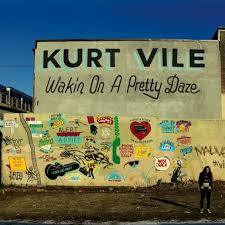 A relaxing and pretty listen, Wakin’ On A Pretty Daze gave Kurt Vile a lot of artistic freedom to create long songs about his past experiences that have led up to this point. 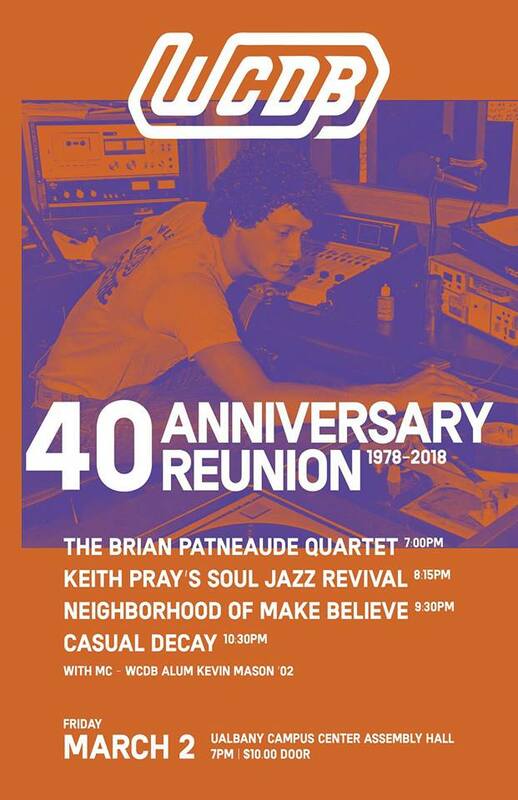 The sophomore album by the group tended to get mixed reviews from critics, but our DJs were supporters with it finding it’s way onto numerous lists. One of the more consistent alternative bands out there released another very good album this year, while also having a documentary about them made by Berninger’s brother aptly named “Mistaken For Strangers” receive favorable reviews at film festivals. Foxygen found themselves getting talked about a lot this year with We Are the 21st Century Ambassadors, and they were the most played artist on our station in 2013. 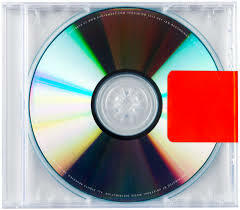 Probably the most polarizing man in music added a new album to his discography this year and debate ensued about where the album actually stood in his discography. 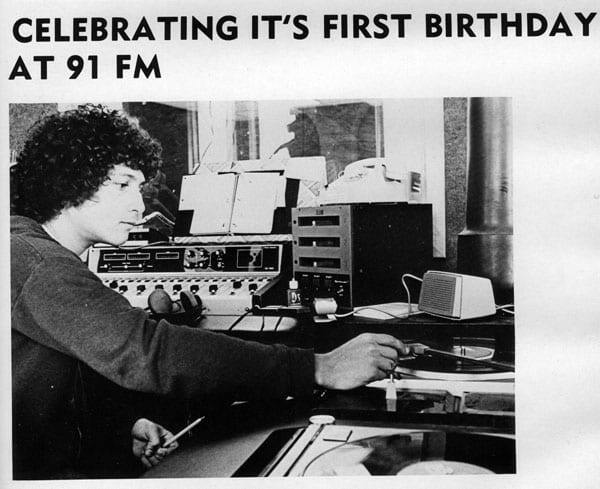 Our DJs liked it enough to have it round out the top 10. Silence Yourself is Savages first full length LP. 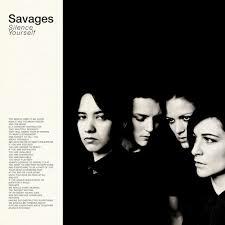 I was first introduced to Savages this year and when I finally got to listening to the album, I really enjoyed it. It’s loud but it also has it’s softer moments too. The track that I enjoy the most is Hit Me because it has all of this energy and craziness packed into a 1:41 song. I first got into James Blake after he released his first album James Blake back in 2011. 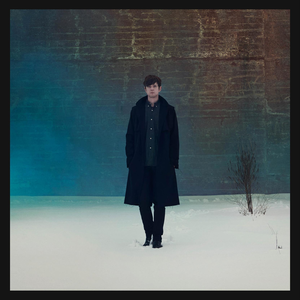 With this album, James Blake decided to go with less of an electronic sound than his previous releases and went with more of an R&B sound. This album is a nice listen and it has the ability to appeal to more people than his previous releases, with my favorites off this album being “Retrograde” and “Overgrown“. I wasn’t too familiar with The National’s previous work, but I really did enjoy this album. 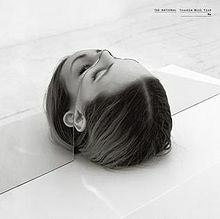 This is The National’s sixth full length album and it’s pretty sweet, I really enjoy the calmness of it. Take a listen to “Pink Rabbits” & “Don’t Swallow The Cap“. I wish I had this album playing whenever I would take long drives in the summertime because it feels like that kind of album. It’s sweet and an easy album to listen to. My picks are “Never Run Away” and “Was All Talk“. 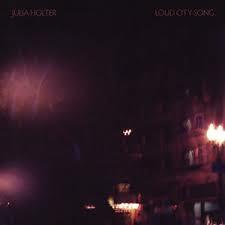 Loud City Song is the third album Julia Holter has released. This is the first album where she recorded with a full band to add a more full sound that she was missing in her previous releases. The track “Horns Surrounding Me” is a clear representation of the full sound, and the album as a whole is really pretty and easy to listen to. My Favorites off this album are “This Is a True Heart” and “In the Green Wild“. On Arcade Fire’s fourth album they decided to go for more of a disco feel. This definitely was not my favorite Arcade Fire release, but I do believe that they accomplish what they wanted to do because they wanted to make an album with disco and dance elements in it. 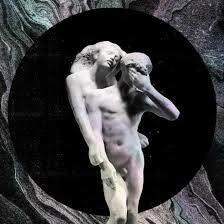 I do prefer Arcade Fire’s sound from their previous releases, but I still think that Reflektor is a solid album. 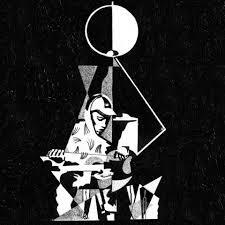 King Krule does a really good job of mixing rock, hip hop and other genres into this album. I started listening to King Krule back when he released his EP King Krule and then listened to his EP U.F.O.W.A.V.E that he released back when he went by the name Zoo Kid. Most of the songs from U.F.O.W.A.V.E made it to 6 Feet Beneath The Moon and have been cleaned up and updated. This album has beautiful moments like in “Neptune Estate” and more upbeat moments like in “A Lizard State“. 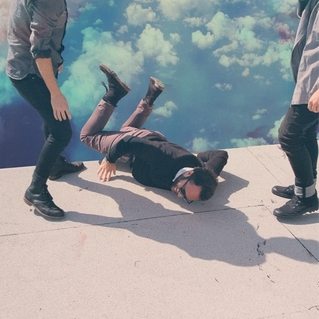 It’s been four years since Local Natives released their first album Gorilla Manor, so as a fan of the band I was eagerly waiting for them to finally release some new music. This album is packed with meaningful songs that were written at the time of the passing of Kelcey Ayer’s mother. In the song “Colombia”, Kelcey is praying to his mother and asking her if he is giving and loving enough, and moments like this are what show the beauty in this album. “Colombia” and “Ceilings” are two of my favorites. 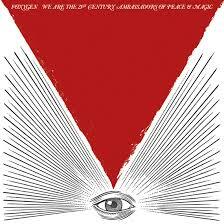 I don’t remember how I heard about Foxygen, but I remember being obsessed with it as soon as I listened to the album. I went to the record store, bought the album, and played it all the time. Foxygen has a lot of elements from other bands, but they still manage to make their sound their own. 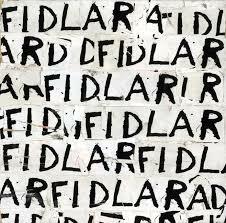 My favorites off of this album are “Oh No 2” and “On Blue Mountain“. I was so excited for this album. Soon after it released, I had go to the store to pick up a copy. Vampire Weekend’s third album follows up the band’s 2010 release Contra with a different sound, as on this album Vampire Weekend goes for a less upbeat sound like their previous albums and focus a lot more on their lyrics. One of my favorite lines from the album is “Wisdom’s a gift but you’d trade it for youth/ Age is an honor – it’s still not the truth” from the song “Step”. The themes of youth and faith are explored throughout this album and Vampire Weekend does it in a way where it feels effortless. Listen to “Unbelievers” and “Step“. I’m really interested to know if this album’s stripped down and more accessible approach was a choice made by Barnes or his management. A part of me hates it because I view him as one of the most fascinating artists out there and really enjoy hearing what he creates when he tries to make electronic masterpieces, but Lousy With Sylvianbriar serves as a reminder to earlier Of Montreal days when he made his living off making pretty pop songs and displayed his thoughts in a less bizarre way. One of the better noisy rock albums that came out this year, Thee Oh Sees is a band that must be an absolute blast to see live and tries to capture that energy on the album. When that does happen it’s an awesome thing to hear, but it happens inconsistently as interest tends to fade during the second half of the album, but there are some gems on it like the one suggested below in “Toe Cutter – Thumb Buster”. I like listening to Wavves because their music is fun, and that’s why Afraid of Heights gets mentioned here despite it’s struggle to be substantial. They can do much better than this and have shown potential to write interesting songs, but they haven’t quite gotten to their peak yet in my opinion and I’m hopeful that they do soon. The product was still good on Trouble Will Find Me, but it’s a difficult one to get inspired by because it sounds uninspired in comparison to the previous three releases. I do enjoy Berninger’s delivery and cadence in their music a lot though, and it appears that even a sub-par record by The National is a quality album when you compare it to it’s peers. This was the debut album for the group and it was a great success by a lot of standards. 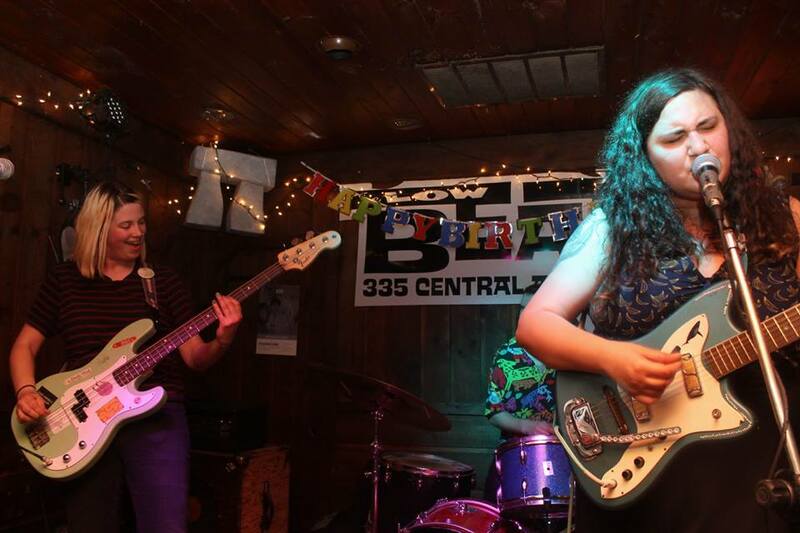 Their sound has evolved already from their first EP, and In Love is a more consistent album than most bands will achieve in their entire discography, let alone on their debut. This group has a ton of potential but I still have some questions about which genre they ultimately gravitate towards, because they’re stuck in between pop and rock right now and that’s not a good place for them to be because they’re completely different approaches. Here are numbers 40-31 on my countdown of my 100 favorite songs. There’s an nice double reality going on in this song. In the present, this man is a danger to everybody around him as he drunkenly stumbles his way through the city, but that’s not what’s going through his mind at all. For him this is the point where he’s finally become what he’s always wanted to be, he’s reached a state where he can view himself as the protector for his family, but he doesn’t realize that he’s currently one of the psychos he swears to protect them from. He’s in a state, but his interpretation of that is that “nothing can touch us my love”. There’s more meaningful Bright Eyes songs out there, but not many more which you could relate to as easily as “Take It Easy (Love Nothing)”. It goes into the first time that you have a sexual encounter with someone and find out that they didn’t want it to mean anything, and the changes that come from that. You end up doing the same thing to other people because you desensitize yourself to the act when it seems that the only real solution to avoid getting hurt is to love nothing. It ends up just being a phase, but it’s a tough one and I like hearing it be described so well in this track. I recently made the decision that I wanted to leave New York in order to put myself into a situation where I can actually live, but this song was placed on this list before I’d even flirted with that notion. I like the mindset of wishing you still had youth on your side to afford making a drastic change, and in reality I’m fortunate that I can still claim mine. The whole song is very pretty and paced, and I love the continuous re-introduction of the horns that Beirut does to continuously re-build the energy of the song.